Working with productions from project inception to delivery, we take every step necessary to assure tax credit eligibility. Comprehensive pre-analysis of applications before submission to ensure rapid review by tax credit program administrators, to decrease administrative back and forth, receive tax credits sooner, and reduce production financing costs. Preparing and submitting federal, provincial and state tax credit applications, including compiling all necessary supporting documentation, and oversight for the life of the applications. Defending tax credit applications in the event of a review by program administrators, Canada Revenue Agency (CRA) and Internal Revenue Service (IRS). Providing strategic advice on tax laws and guidelines, including tax credit estimates, to maximize federal, provincial and state tax credits and overall business objectives. Preparing and managing other funding applications (Harold Greenberg Fund, Telefilm, etc.) and advising on eligibility requirements. Providing strategic advice on international co-productions, including best practices. Providing general business affairs support. Above The Line Media Services works with content producers by providing expert advice on tax credits and production business affairs, as well as providing tax credit application management in order to help you develop, produce and distribute the highest quality content possible. We offer a unique range of skills and hands-on experience to ensure that you get the best deal possible, the best content on screen and to ensure you see the maximum return on tax credits and profits for your production and business. With 15+ years of experience in senior roles at the Canadian Audio-Visual Certification Office (CAVCO) and in production, our founder and president, Brendan McNeill, has gained extensive knowledge in film and television tax credits, as well as the multiple financial and legal aspects of film, television and online production and distribution. 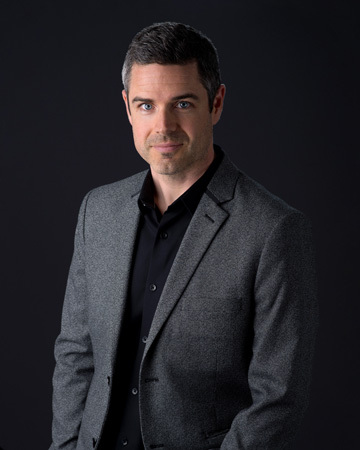 With this knowledge, Brendan has helped develop policies and lead studies on the film and television industry, as well as providing strategic advice on a variety of topics specific to Canada’s film, television and online sector. Above The Line Media Services, Inc.